These images released by Police show the house in Wollstonecraft, on Sydney's North Shore, which Linda shared with her boyfriend and other flatmates. The second image is a letter she sent to boyfriend Stephen Lavender explaining she was going away for a few days. Linda was last seen on 6 April 1980, when she visited her boy friend at the Royal North Shore Hospital. She apparently returned home that evening, but has not been seen since. New Zealand Police are assisting New South Wales Police with the investigation into the disappearance of New Zealander Linda Suzanne Davie. The NSW Police Minister announced today that the NSW Government is offering a $100,000 reward for information relating to the disappearance and presumed murder of Ms Davie who was 22 years old at the time she went missing in Sydney around 6 April, 1980. It is hoped that the reward might encourage anyone with information to come forward. The NSW Government offers rewards to help solve some of the most serious cases where police need the public’s assistance to solve a crime. Wollstonecraft on Sydney’s North Shore, prior to her disappearance around 6 April 1980. She had been living in Australia since late 1978 with Mr Lavender, an Australian citizen. NSW Police know that on April 5 1980 Linda went to a club called The Manzil Room in Kings Cross with a friend – where two men attempted to pick them up, and later dropped Linda and her friend home. On April 6 Linda visited Mr Lavender at the Royal North Shore Hospital where he was a patient. That was the last day that Linda was seen. Mr Lavender became concerned when Linda failed to visit him in hospital on April 7. 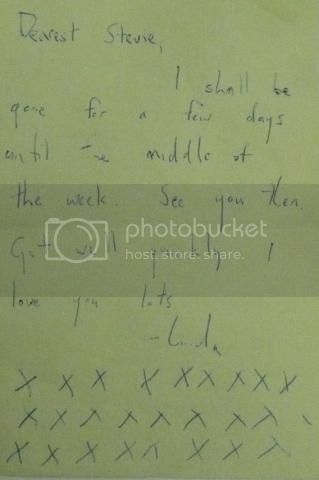 Three days later, on April 10, he received a letter believed to be from Linda saying that she would be away until the following week. This sudden absence and the letter was out of character he told police. Mr Lavender became further concerned when on his discharge from hospital on April 15 he returned home and found that all of Linda's belongings were still in the house. NSW Police believe that the two men who drove Linda and her friend home from Kings Cross on April 5 may have information vital to the investigation. Police want to hear from anyone that might have known Linda Davie, whether it be friends, relatives or associates. They would also like to speak with witnesses who came forward initially to police when Linda was reported missing in 1980. In 2002, Linda's disappearance was investigated by NSW Police in connection with the disappearance of two other women – Marion Sandford, who was last seen in North Sydney, NSW, in January 1980 and Mary Wallace – last seen in Crows Nest, NSW in September 1983. Zealand, in Australia or anywhere else this investigation may take them. 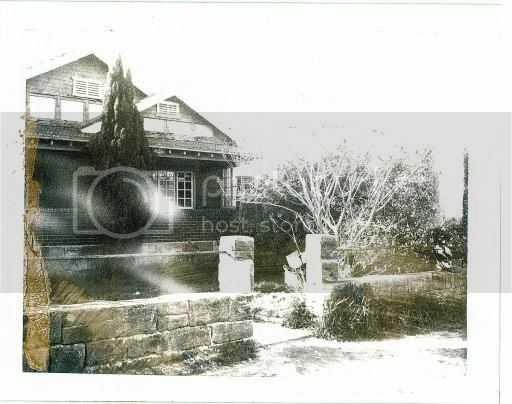 Two additional images released by Police show the house in Wollstonecraft, on Sydney's North Shore, which Linda shared with her boyfriend and other flatmates. The second image is a letter she sent to boyfriend Stephen Lavender explaining she was going away for a few days. New Zealand Police urge anyone with any information – no matter how small or insignificant you may think the information is – to contact your local Police Station or contact the New Zealand Police National Missing Person Unit on 04 4749499. THIRTY years after the disappearance of Cammeray woman Marion Sandford, the State Government has posted a $100,000 reward for information into the case. 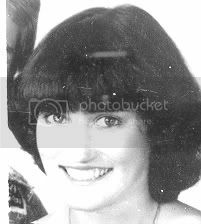 Acting Police Minister David Campbell said Ms Sandford, a New Zealander, disappeared in January, 1980, and was presumed murdered. “Marion Sandford was last seen by her brother Peter Sandford around January 24, 1980, at their home in Cammeray,” Mr Campbell said. “Just three days later, Peter received a letter claiming to be from Marion, letting him know she was all right and that she’d be away until later that week. Detective Sergeant Robert George, of Harbourside Local Area Command, said that, at the time of her disappearance, Ms Sandford was known to police. “In 2002, Marion’s disappearance was investigated in connection with the disappearance of two other women - Linda Davie, who was last seen in St Leonards in April, 1980, and Mary Wallace, last seen in Crows Nest in September, 1983,” he said. “One other line of inquiry has been the potential involvement in the supply of drugs in the area. Detective Sergeant George said NSW Police had worked with the NZ Consulate and NZ Police. “While we’ve had a number of leads, every one so far has unfortunately gone cold,” he said. Mr Campbell said police wanted to hear from anyone who knew Ms Sandford, whether they were friends, relatives or associates. “The Sandford family deserves closure and the community expects justice,” Mr Campbell said. Rewards of $100,000 are being offered for information leading to a conviction in two historic suspected murder cases. Tanya Farrington and Linda Suzanne Davie both disappeared in suspicious circumstances more than 30 years ago and are presumed by police to have been murdered. NSW Detective Sergeant Robert George responded to media reports that police were investigating possible links between the girls and notorious criminals including underworld identity John Anderson, serial killer Ivan Milat and New Zealander "Mr Asia" drug syndicate head Terry Clark. "Any suggestion of those links is just speculation," he told reporters in Sydney on Sunday. Tanya was 14 when she went missing from her Crows Nest home on Sydney's north shore on March 22, 1979, he said. She was last seen by her brother watching TV late at night in the family home but was gone when her mother woke up in the morning. Ms Davie, then 22, has not been seen since she returned to her north shore Wollstonecraft home after visiting her boyfriend in Royal North Shore Hospital on April 6, 1980. The New Zealander's boyfriend received a letter saying that she would be away until the following week - she was never seen again. Neither of the women had any reason to deliberately disappear, Det Sgt George said. "They have not contacted their families in over 30 years," he said. "We presume that what has happened to them is a result of murder or foul play." NSW Police Minister Michael Daley said Tanya often snuck out at night and may have hitchhiked to Manly to spend time with friends. "I'd urge anyone who saw Tanya that night, or might have information about her disappearance to come forward," he told reporters. Police would also like to speak to Tanya's boyfriend at the time and two men who are believed to have driven Ms Davie and a friend home from Kings Cross on April 5, 1980. Police are asking anyone with information to call crime stoppers on 1800 333 000.